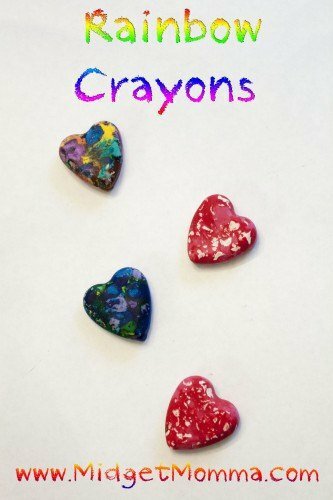 Remove the wrapper from the crayons and chop the crayons into small pieces. Place the pieces into the molds and place on the cookie sheet in a 230 degree oven for 15 minutes. Remove from the oven and let cool. I have been throwing away broken crayons, silly me.